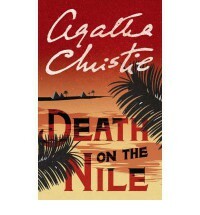 Death on the Nile is one of the best in the Poirot series I read so far. The alibi in this case is ever so ingenious, and the side plots are intriguing as well. I am proud to say however that I feel that I'm getting better at figuring out who the assassin(s) are, but Christie still manages to get me quite on the wrong foot on many of the details. I like that fact that Death on the Nile is a little bit longer than the average book in the Poirot series so it has room for more descriptive narrative which adds so much to the atmosphere of the story. It's a story after all, not a puzzle. The book is at least as surprising and original as its title. Allan Karlsson is a wonderful character you can't help to love as you get to know about him and his crazy life throughout the book. I liked the setup with chapters alternating between past and present. The fine line between facts and fiction was very entertaining and I often had to laugh out loud while reading. This fact alone makes it worthwile to compare it with [b:The Hitchhiker's Guide to the Galaxy|11|The Hitchhiker's Guide to the Galaxy (Hitchhiker's Guide, #1)|Douglas Adams|https://d.gr-assets.com/books/1327656754s/11.jpg|3078186]. I loved however the way the supernatural elements are interwoven with the day-to-day reality and cynicism of the main characters. It kept everything so real and this much more scary. 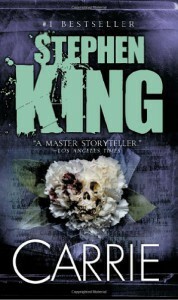 Still, only a barely three-star review from me and I'm not overly keen to reading more King in the near future. I really love this book. For many reasons. First perhaps is because of the truly original choice of writing it in the second person, instead of the usual first or third. Somehow, I felt it really worked to get me more empathic with the main character. Second is the strong link with Pakistan, a country I like very much. I really think that many of the - for me, pretty obvious - references to Pakistan and Karachi will be lost to readers unfamiliar with the country. Finally, I relished the irony at the beginning of each chapters when discussing the concept of self-help books. Brilliant! I'm very happy I picked up this book, rather accidentally, from my book store. 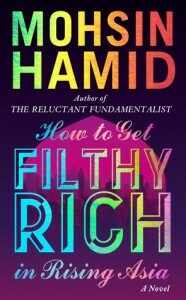 It's a very entertaining read and gives beautiful insights in both the human psyche and the Pakistani environment. 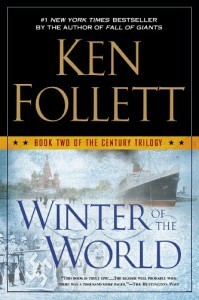 After longing to get my hands on Winter of the World ever since I finished Fall of Giants, I couldn't help but being disappointed by the second part of the Century Trilogy by Follet. It's of course a very nice book. 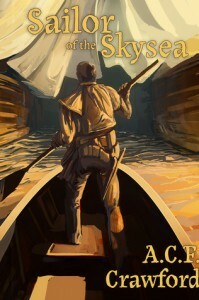 Easy read, great historical background, compelling characters and what not. What was it then that kept me from enjoying this book as much as the other grand historical tales by Follet? I guess it's the sheer speed at which certain major events (both historical and personal to the characters) are described. Some chapters seemed to be going on forever, where others were excruciatingly short. Events like the return of Werner and Erik, the death of Joanne, the discovery of Lloyd's true lineage, etc... weren't described in enough depth. I also didn't find an ending to the story line involving Eva and her probable return to Berlin. Second, I also couldn't help but think parts of the book were too much influenced by a Western point of view (read: Anglo-American point of view) and not duly neutrally presented. Personally, I'm quite allergic to that. Finally, I also felt more related and therefore interested in the parent-characters as in the newly introduced child-characters. Perhaps because I enjoyed the previous book so much more. Anyway, I'm still looking forward for the final book in this trilogy since I'm learning so much from them and they are, after all, pretty enjoyable reads. wow, what a great read. I saw the original movie and, recently, the 2013 remake. 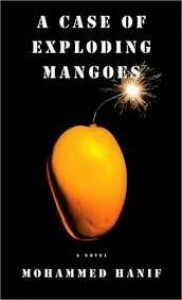 yet, this book still fascinated me, if not for the story, then for the intricate way it gets presented to the reader. through what is in fact a complex tangle of flashbacks, flash forwards, police reports, first person scenes, third person scenes, newspaper wires, autobiography excerpts, ... King manages to add another layer of suspension to an already thrilling story. perhaps what I like so much about the well known story of Carrie is the sheer simpleness of it and the way that we can all relate to the main character's yearning for love, belonging and safety. on a final note, I want to highlight that the book really adds much more significance to the story which the movies (or any movie in fact) ever could. so even if you have seen the movie(s), it's well worth the read. 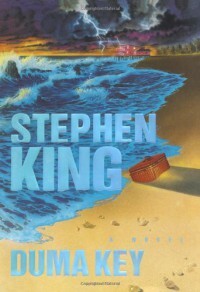 this was my first Stephen King, but surely not my last! I kind of really liked this book. At the beginning it was all satire and little (interesting) story, but this got balanced better over the subsequent chapters. I liked the pace of the book, and the fact that the main, first person character knows so much that is not revealed to the reader, but only merely hinted at. By the end of the book, I was surprised to find myself even feeling hooked to the story getting excited and thrilled by what was going on. Sailor started off really, really well. The introductory chapter was thrilling and served as a welcome to the world, the story and the main character. I also liked the way the story was positioned in two different ages after `The Calamity'. After 150 pages the story became a bit tedious and after 200 pages I found it downright boring. There is only one perspective we're getting to learn about the world through; the one of the sexiest, strongest and smartest superhero overcoming a long list of seemingly random impediments thrown along his path to... hm, yes, whereto actually? I had the idea this book had to serve as a forced introduction to the (admittedly very nice and creative) world of Younglands. I never really got to the point of actually caring about any of the characters or their goals. 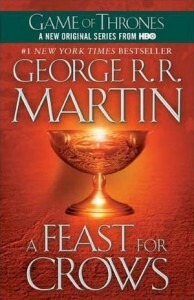 Still three stars, since it was well written and in the end not too long. If there would have been another 100 pages of this to swallow, I'm not sure if I would have. What I think this book needs (or sequels to it, as it is hinted more will come) is more POV characters, more elaborate inner thoughts about what is going on and less forced `story'. 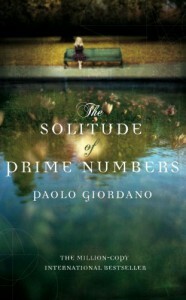 Strange perhaps to rate this book with stars, since it's not even a story. However, in its own category (books on improvised comedy), this is a really great one. 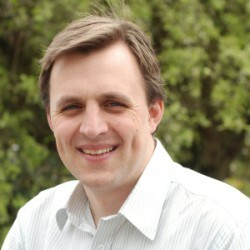 At first, I was disheartened to learn that - like so many others - it was another list of exercises. However, their way of bringing them forward is remarkable. Each exercise is broken down into four parts: what, why, Heather's approach and Joe's approach. Sometimes you'll also find some expert advice added to it. Heather being an impoviser and Joe a musician, I found it really great to read both their approaches to each exercise. 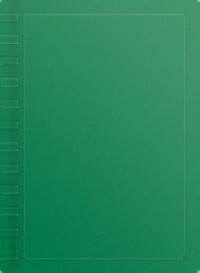 This book will come in handy countless times when preparing my improv musical workhops in the future! Very entertaining entry in the Poirot series. Just when you think you have gone through all possible Poirot story lines, Agatha Christie always manages to squeenze in an original one. 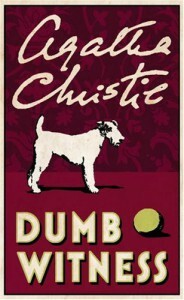 In `dumb witness', Poirot investigates a seemingly perfectly natural death of an old lady leaving her extraordinary wealth to her companion, as such disinheriting her family. Very intriguing plot and again a very nice insight in the upper class society of the interbellum Great Britain. A rare book, this one. Before I started it, I read some reviews about the lack of character depth in the story and the disappointment resulting from it with some readers. Being prepared for that, I didn't find it all that disturbing. I rather believe it was done intentionally, since the two main characters are all about personalities that are nearly impossible to penetrate into. Two things are keeping me from giving it the ultimate 5-star rating. First of all, I often found the story simply *too* depressing. Hardly anything simply positive or enjoyable seems to happen. Secondly, I really didn't like the ending. I finished the book feeling rather unsatisfied with it. Nevertheless, it's a very enjoyable read. Like I said, a rare book and one to cherish. 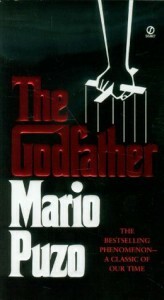 `The Godfather' must be the very first story I come across where the movie is better than the book. The book reads more like a simple listing of facts than as a novel. This makes it `interesting', but not `good'. Two stars is a fairly low rating, but I don't believe this book deserves more. Three letters: W-O-W. I was truly amazed by this book and fully understand the Pulitzer the author received for it. The format is brilliant: the book you're holding and reading is actually being developed and written in front of your eyes. The constant switch between present day and war memories force you to take the cruelty of it all in more wholly. 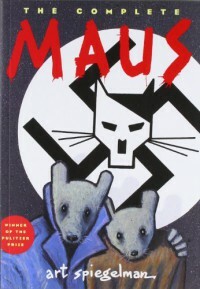 The content is brilliant too: there are two narratives to follow: the present day Spiegelman and the past Spiegelman. Perhaps I found the relationship between the author and this father even more appalling than the war story. In short, this is a truly amazing book and I loved and hated it beginning to end. For days I had an awkward feeling in my chest and I'm still struggling ordering my thoughts on it. 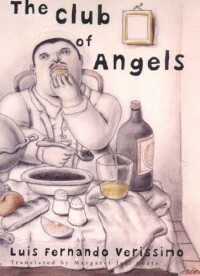 This is a nice tale of gluttony and death, a parable of some sort. However, I felt that near the end, the platitudes of a detective story were becoming too apparent for what is essentially a non-detective story. Upfront, I was expecting more from this book and when I finished it I felt a bit disappointed. However, since then I have discussed the story with a friend (who recommended it to me in the first place :-)) and found that there was more into it than I first thought. Perhaps I should reread it one day. For some reason I wasn't that enthusiastic about the fourth instalment in this otherwise magnificent fantasy series. It took me a long time to find myself interested in the stories of the newly proposed main characters and felt that there was a lot of talking and thinking but little acting in the story. 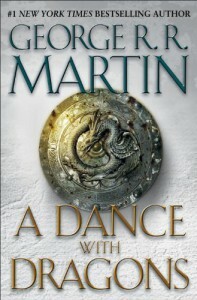 At the end however, Martin explained that the next book will cover the same time period but from the perspective of the characters we have got to love or hate in the previous books, which makes me really looking forward to devour it. Nevertheless, A Feast for Crows cannot get more than three stars from me. 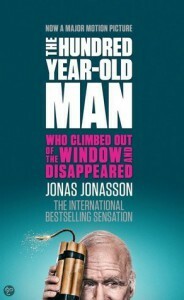 I liked it, it was good, but after the third book which is absolutely brilliant, it felt too often as a disappointment.